Good thing I made a friend who’s been in the bike business for his entire life. Good thing he’s generously offered to assist in goal numero uno – get a sweet bike. He found a mixtie on Craigslist that he loved. I don’t know jack about bikes so I took his word for it. This bike was pretty sweet looking, though. An old Frenchie from the 70s. Meet Rue. Too bad the first time I took ‘er out around my neighborhood the back wheel went wonky and I had to carry her home. Did I mention I have a bike mechanic friend? 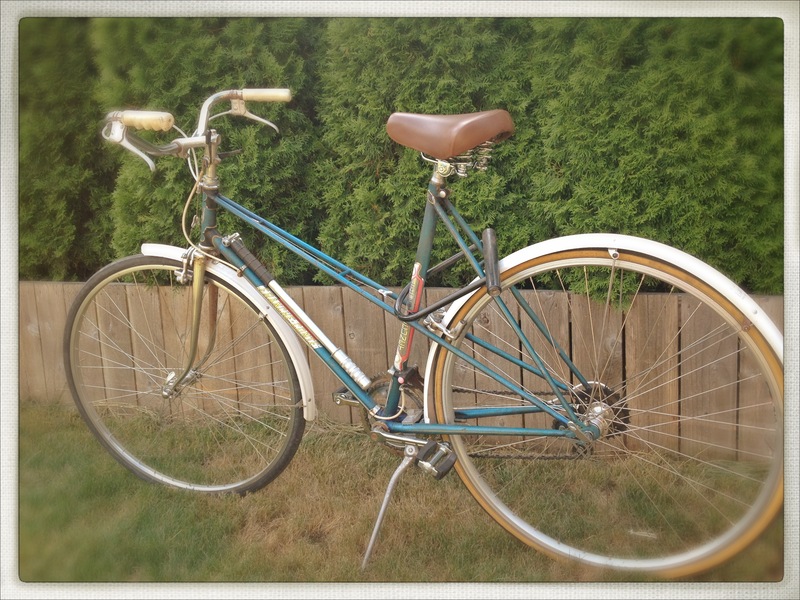 This entry was posted in biking and tagged bicycle, bike, craigslist, hobbies, mixtie, new. Bookmark the permalink.